Like her sister ships Nautica, Regatta and Insignia, the sleek, streamlined Sirena was originally built for now-defunct Renaissance Cruises. 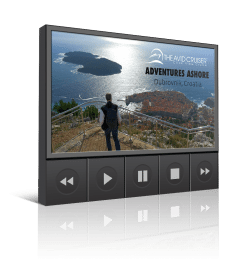 Oceania Cruises acquired her in 2016 and immediately began refitting her to her former glory – and then some. Measuring 30,277 gross tons and carrying just 684 passengers, she’s a classic midsized cruiser, offering understated decor; a comfortable, laid-back atmosphere; great service and dining; and imaginative itineraries that put special emphasis on unique ports of call and extended stays in some of the world’s most “must-see” destinations. With a crew complement of 400, there is approximately one crew member to every 1.71 guests. Sirena was christened in the port of Barcelona, Spain in April of 2016, setting out on her maiden voyage shortly thereafter. Long-time cruisers will remember her as R Four, but most will probably recognize her from her past incarnation as Princess Cruises’ Tahitian Princess, renamed Ocean Princess between 2009 and 2016. After being sold from Princess, Oceania renamed her Sirena and put her into a 35-day drydock at a cost of US$40-million. Inside, Sirena follows the precedent set by her predecessors, Regatta and Insignia, with a clubby, old-school style that doesn’t date easily. Like all the former Renaissance vessels, she’s comfortable and spacious, with lots of dark-wood paneling, gilt-framed paintings, Oriental-style carpets, and deep-hued upholstery lending a classic old hotel vibe. Her atmosphere is traditional but casual, and perfect for travelers who care more about relaxing, reading a good book, and chatting with friends than about flashy excitement. Welcome Aboard! 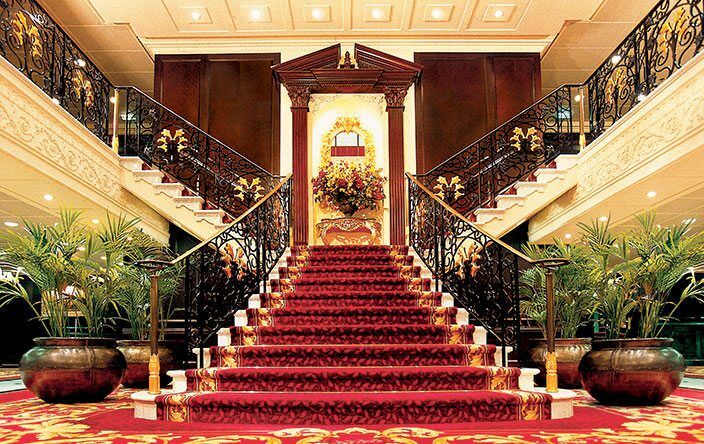 Oceania’s Marina revives the classic ocean liner tradition of having an impressive Grand Staircase to welcome guests. 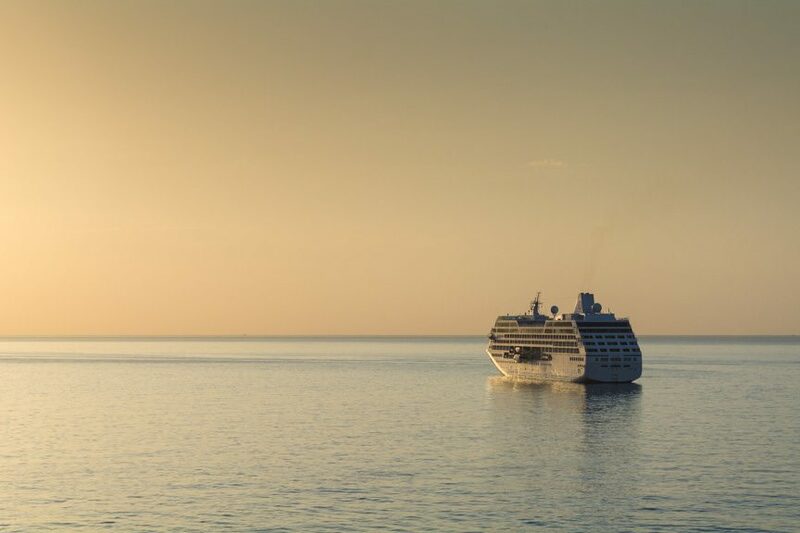 Photo courtesy of Oceania Cruises. There aren’t a lot of public rooms — just enough to keep things interesting. In the bow on Deck 10, the spacious Horizons Lounge is used for various activities during the day and for dancing at night. Down on Deck 5, the main show lounge is big enough to seat about half the guests on board and hosts musical recitals, cabaret acts, comedy, magicians, and other headliners. Moving aft, Martinis is the ship’s coziest lounge, with a pianist playing standards before dinner, a jazz band at night, and as you might expect, a long, long martini list. There’s also a small but comfortable casino, and an even more comfortable library, decorated in traditional English style. If you’re sensing a theme here, you’re not mistaken: Every inch of this intimate ship oozes coziness, and the onboard atmosphere reflects that. 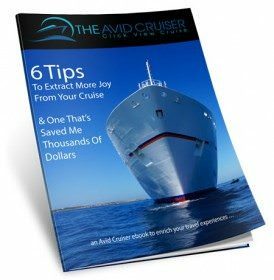 Your fellow guests tend to be adventurous and well-traveled, unpretentious but still cognizant of the fact that sometimes the finer things in life do matter. Nautica manages to strike that elusive balance between big-ship amenities and small-ship ambiance. 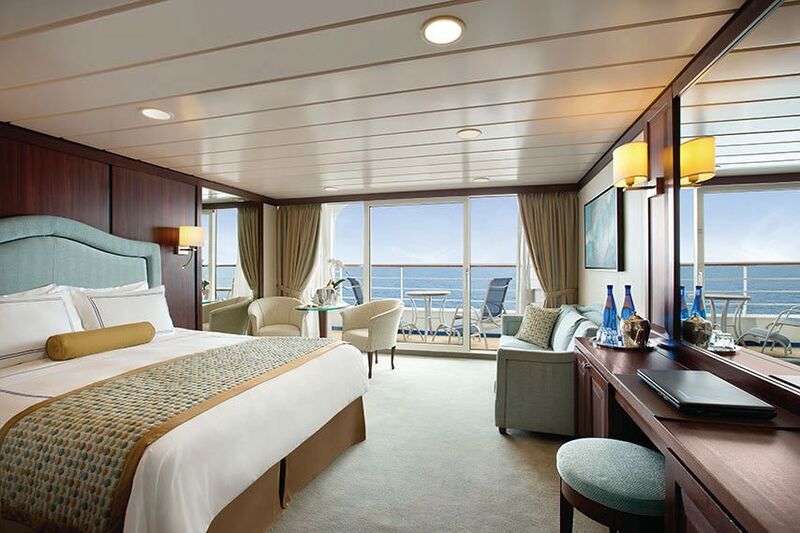 Oceania’s Sirena also sports a full-service spa onboard, operated by Canyon Ranch. Photo courtesy of Oceania Cruises. 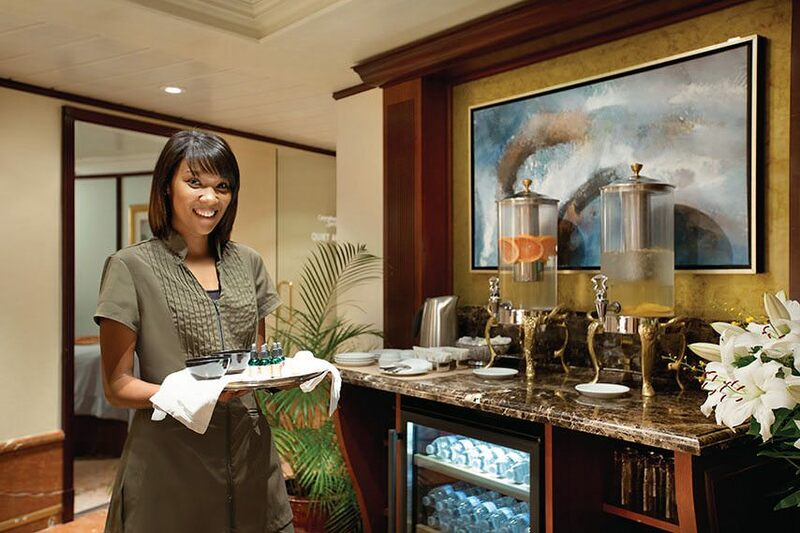 Dining aboard Oceania’s Sirena is a real event, with one of the most attractive yet understated dining venues at sea. Photo courtesy of Oceania Cruises. Like all the Oceania ships, Sirena is casual and laid back at dinnertime. Guests can choose between the elegant, single-level Grand Dining Room, where the entrance is through a cozy bar that’s perfect for pre-dinner cocktails and/or waiting for the rest of your party to arrive. When you’re ready, just tell the maitre d’ and he’ll find you a table. 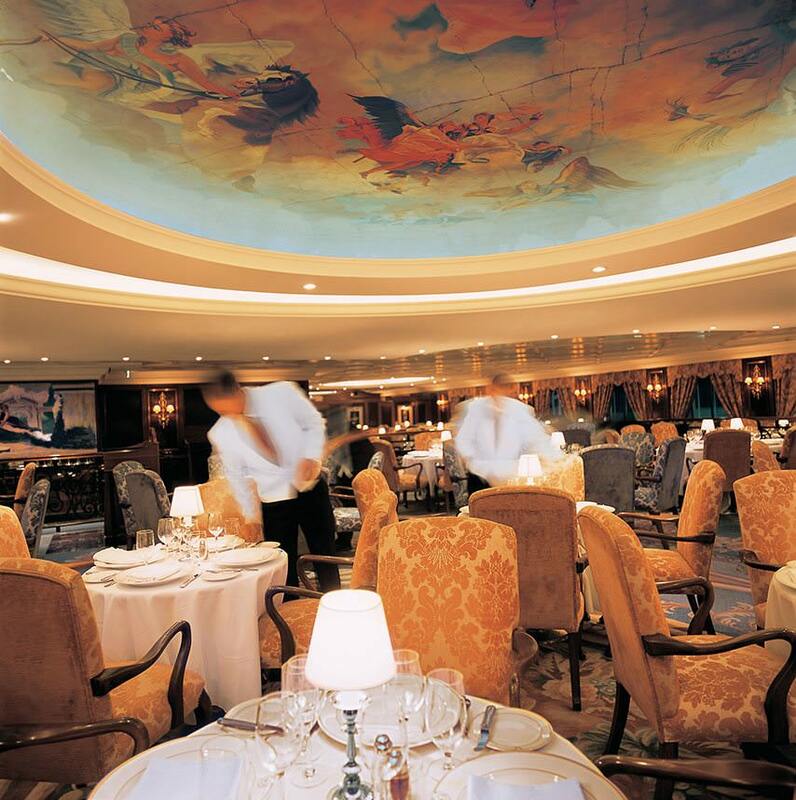 The Grand Dining Room also offers a surprise transformation into Jacques Bistro during lunch, serving up classic French fare. New to Oceania and Sirena is Tuscan Steak, a brand new specialty restaurant that serves up Italian favorites and dishes that include succulent steaks and fresh seafood inspired by the Toscana and Polo Grill found aboard the line’s other vessels. Sirena also has Red Ginger, with its bold take on Asian cuisine. The restaurant has been a hit since being introduced aboard Marina and Riviera, and comes to the smaller R-Class ships for the first time. Other dining options include a buffet restaurant that does breakfast, lunch, and dinner, the latter ratcheted up into a real dinner experience, and offering al fresco dining on a bow-facing terrace. There’s also Waves Grill on the attractive, teak Pool Deck, which offers a pool, a pair of hot tubs, and deck chairs and large daybeds for sunbathing. The Patio, a shaded outdoor lounge, offers thickly cushioned chairs and daybeds and a nap-inducing atmosphere. For the ultimate, guests can rent one of the eight private cabanas on Deck 11, each offering great sea views, a retractable shade roof, white drapes that can be drawn for privacy, a plush daybed for two, and the services of an attendant who can fetch drinks, chilled towels, and other luxuries. You can even arrange to get a massage here, courtesy of a therapist from the Canyon Ranch SpaClub on Deck 9, run by the legendary resort spa company. Or, you could just relax in your cabin — and who would blame you? Though Sirena’s standard cabins aren’t innovative or exceptionally large, they’re classy and comfortable — especially the beds. 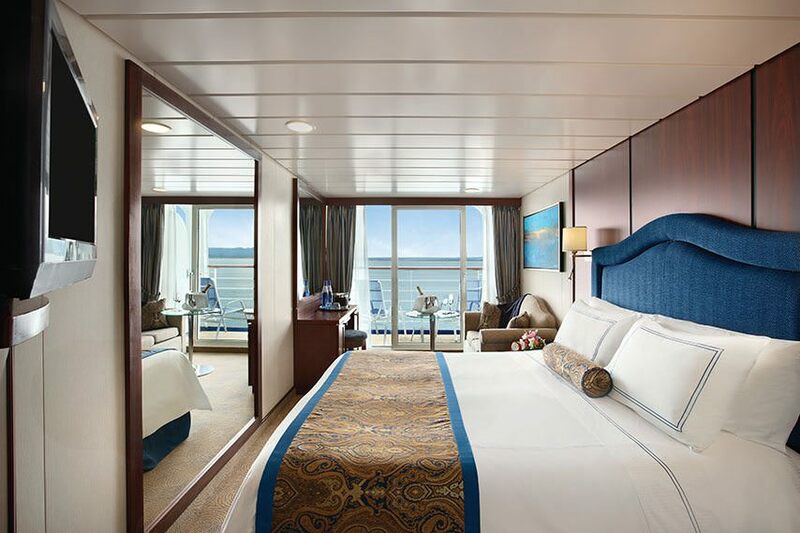 Sirena features the brand-new “Ultra Tranquility Bed” that has been designed specifically for Oceania Cruises. For the true space maven, Sirena’s Penthouse Suite is sure to impress. 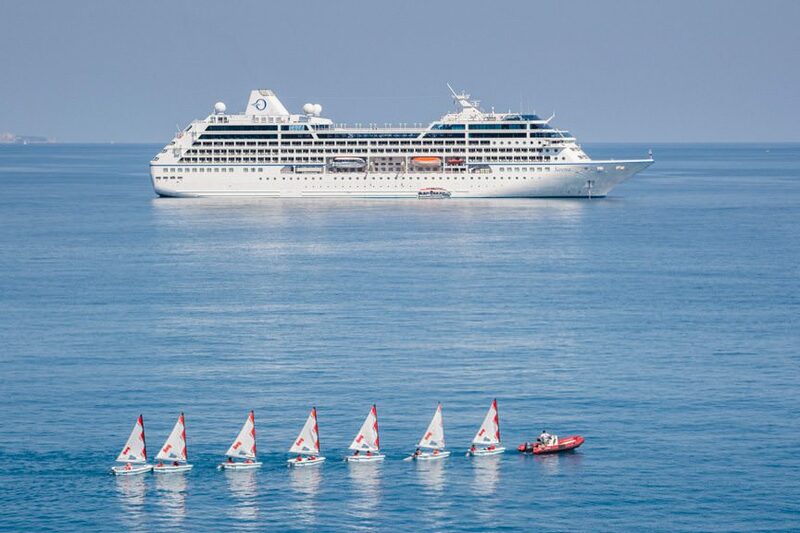 Photo courtesy of Oceania Cruises. If you need more space, Sirena’s suites range from the 322-square-foot Penthouse Suites to the 1,000-square-foot Owner’s Suites, which have separate living rooms and bedrooms, wrap-around balconies, and niceties like 42-inch plasma flat-screen TVs, Bose sound systems, and Hermès and Clarins bath products.